The Harrod Sport ® 3G Aluminium Football Portagoals 21ft x 7ft are as used by many top Premier League teams in their training ground. With the addition of the Hi-Raise wheels these goals can easily be moved around to allow for ground maintenance and use on different pitches. 2 x Aluminium Goal Posts 21ft x 7ft. 4 'U' Peg Grass Anchors. 8 x Flip Over Portagoal Wheels. 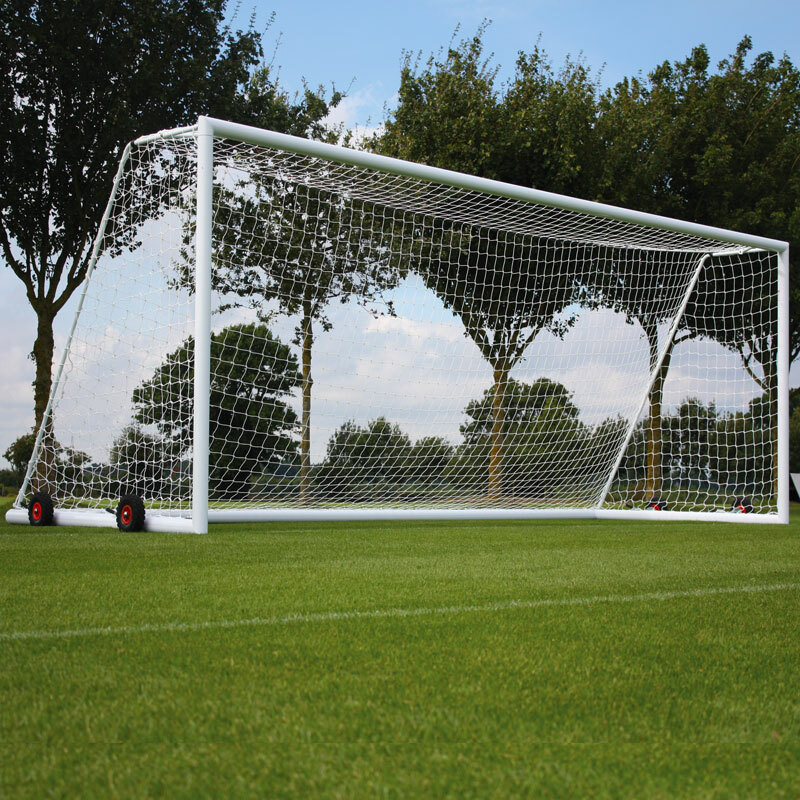 1 x Aluminium Goal Post 21ft x 7ft. 2 'U' Peg Grass Anchors. 4 x Flip Over Portagoal Wheels. Uprights, crossbars, sidebars and backbars made from 102mm x 112mm x 2.2mm thick re-inforced aluminium. Full length net tubes made from 31.8mm diameter x 1.5mm thick galvanised steel. Complete with unique lock-on synthetic net hooks, stainless steel bolts and 'u' peg grass anchors. When used with the Hi-Raise wheels, the portagoal is extremely manoeuvrable on both grass and synthetic surfaces, Hi-Raise wheels lift the goal up to 100mm above the surface. 6.4m x 2.13m (21’ x 7’) - 156kg per pair, 78kg per single.